Undertaking a course of chemotherapy for 18 weeks is to enter a very different world of experience. It is akin to going on a four month trek across a mountain range ( think Ladakh, barren dry and wild) involving steep and treacherous paths, energy sapping high altitudes that take your breath away and requires some comparable skills and attitude to complete. Approached this way, the experience can be tackled more as an adventure than something to be afraid or anxious about. The two main challenges I faced in those weeks were a dramatic loss of energy and a deterioration in my capacity to digest food. The latter I tackled by judicious use of short periods of fasting, 1-3 days to minimise the risk of nausea, lighter food loads with smaller and more frequent meals and in the harder periods eating just stewed apple, washed down with lashings of lemon and ginger tea. In addition I used digestive enzymes and probiotics in pill form. A course of chemotherapy parallels a mountain trek in that in both, one is confronted by the issue of managing one’s energy on a constant basis. Under chemo I estimate the rate of energy depletion is 20 to 30 times faster than normal. 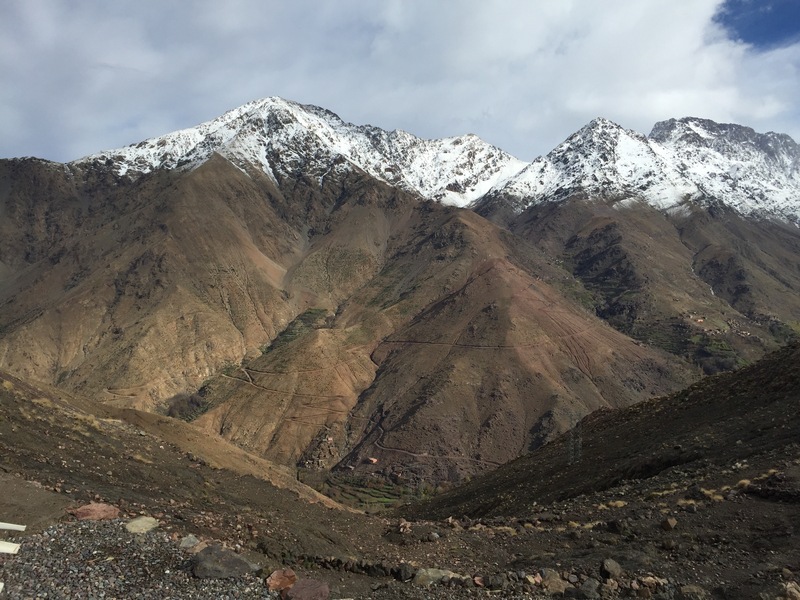 To illustrate this, if I walk uphill for twenty minutes on any slope greater than 5% incline, then I will feel as exhausted as after a ten hour mountain trek in the Atlas mountains. Conversely the recovery rate is also just as fast; so if I rest an hour I can repeat the same climb. I learnt the different ways to deplete one’s energy, walking, standing in queues, listening and talking to friends, and to measure each carefully or suffer the consequences if I miscalculated. Miscalculation leads to levels of extreme exhaustion such as falling asleep at night fully dressed and teeth unbrushed as both would lie beyond the will’s capacity. I learnt that having one’s feet up is twice as restful as having one’s feet on the floor and that meditating was four times more effective. So I learnt by trial and error what I could and couldn’t do. For example some of the lessons I learnt are “running for the bus will make you feel very ill”; eating a large slab of foie gras in Megeve will definitely lead to a liver attack requiring a day in bed. Ski for more than hour and I risk not having the strength to walk back to the hotel. As I progressed through the course my errors became more serious: Eating seafood at Zizzis led to a long fall from a narrowing path requiring rescue, and a week of hospital food see blog no.2. Or again perhaps it wasn’t such a good idea to spend a week at 2200 meters altitude in Italy, because chemo tricks the body into thinking it’s 4000 meters. There were times when in hospital and in Sauze when my energy was down to 1%, leaving me feeling alarmed and even frightened. But otherwise, most of the time my positive mood was stable despite the body seeming to crumble beneath me- the hair loss, the blackening fingernails, the loss of energy. Partly because these symptoms are temporary, but also because of the belief that I hold that I am not my body.This belief stems from meditation which comes in useful as both it and serious illness are the means by which I can dis-identify from the body and thus come closer to the truth of who I am. In other words, all objects of observation -the body, thoughts and emotions are, by being observable, objects to be noticed and accompanied by the subject- me and therefore subject and object can no longer be conflated into one identity. Dis-identifcation thus leads to detachment, and detachment to less reactivity and greater calm. I believe it is significant that one of the first questions my oncologist asked me was whether I meditated. In conclusion, despite some painful mistakes and some dark moments, overall I can say that I quite enjoyed the experience as a challenge since it was technical in nature, like a steep black slope before a skier. Lots of route and activity planning and the chemo gave a daily edge to all one’s activities as I tried to keep to a normal life. I was lucky that it was one of the less severe drugs. Of course there were times during nausea phases when happiness and positivity were absent inevitably, but they soon returned. As I near the end of this particular adventure I can state that the trepidation I faced before embarking on this chemical journey has definitely been lifted.